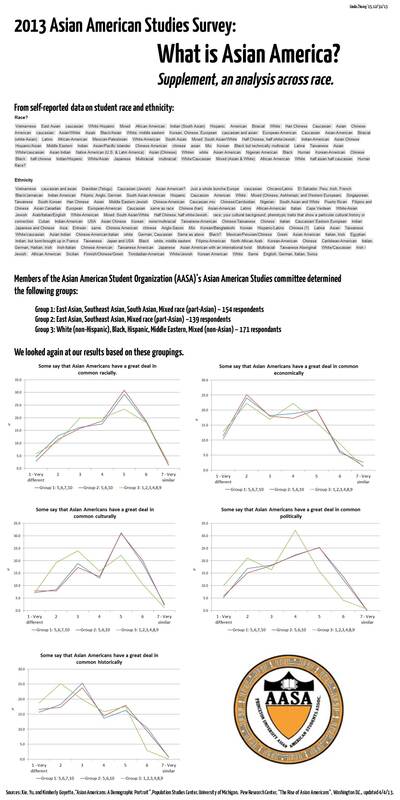 In November 2013, AASA sent around a survey asking students their opinions on who is Asian American and how cohesive they are as a group. The results of our survey are written up in the report below. Included in the report, among other things, is data of how similar Princetonians think Asian Americans are culturally, racially, historically, economically, and politically. 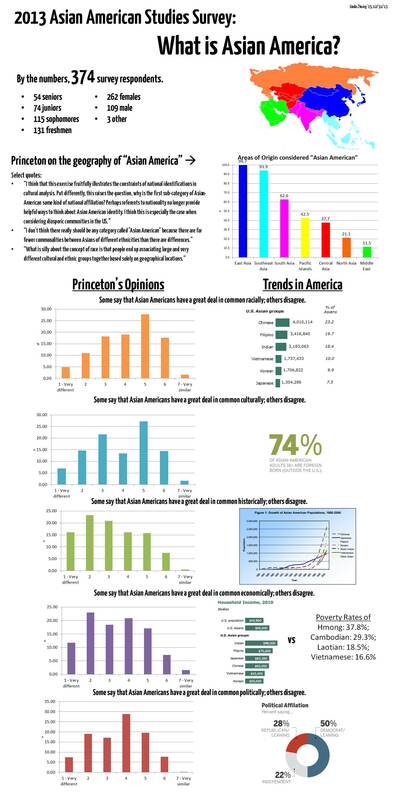 Responses are also broken down according to race of respondents, showing differing perspectives within and without Princeton’s Asian American community. Two graphics below summarize our findings.